Monitor Atlantic storm paths and weather conditions. 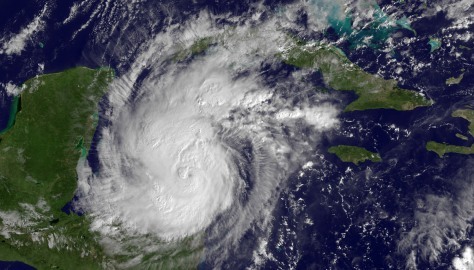 This satellite picture shows Hurricane Rina in the Caribbean Sea. A Hurricane Watch is in effect for the east coast of the Yucatan Peninsula from north of Punta Gruesa to Cancun.